Losing a loved one hurts, it’s a time of stress and confused thinking. While coping with the sadness, you still want to pay a fitting tribute to their memory. When we are faced with the task of coordinating or presenting a eulogy for a funeral, gathering photos and developing a professional presentation of your loved one’s life, just knowing where to start or what to do can be daunting. Key Essentials can help you and your family deliver a professional ‘This Is Your Life’ video memorial that is personalised with selected music that complements their life story. This becomes one less thing you have to worry about. A video memorial can be a variety of things. You may choose to use a selection of photos to show the life of your loved one or just a few. Incorporating a favorite song or piece of music completes the presentation and can be very moving. Comments from people tell us the videos filled them with a sense of pride and gratitude, a feeling of closure. Their family and friends were able to see how much their loved one’s life journey made a difference to all their lives and how they contributed to our world today. Not everyone will have a collection of photos and that’s okay too, as a video can be structured in a written format. The feelings in your heart will show in your words. Poetry is another wonderful way to tell their story, either together with images you do have, or we can use stock images we provide to complement their life. Key Essentials will help lighten your stress and will deliver a ‘This Is Your Life’ video memorial in the format suited to your funeral service requirements. 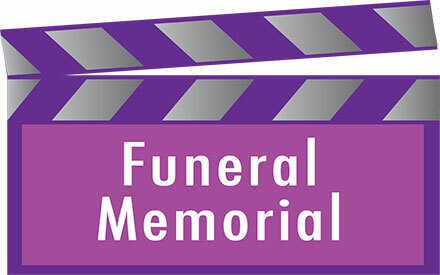 If you would like to know more about funeral video memorials . . .Contact us or call and let us assist with a video memorial presentation.